Caramel and coffee layers come together in a fun new fudge recipe. 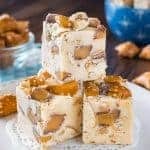 This Caramel Coffee Fudge is perfect for making and eating when you need a special treat. I do suggest giving most of it away though because it is extremely delicious. I have decided that I cannot make fudge without layers. Seriously, it just doesn’t happen without the layers! Every time I go to make fudge it ends up having 2-3 layers in it. This fudge was going to be just caramel, but then I started thinking of all the ways I could make it more interesting. 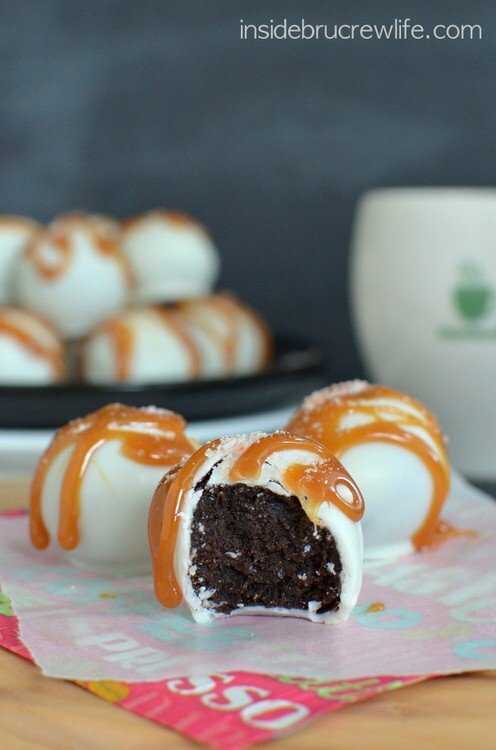 My first thought was salted caramel because…well, because I seriously have been addicted to that goodness ever since I made these Salted Caramel Mocha Brownie Cups. Then that got me thinking and dreaming for the Starbuck’s Salted Caramel Mocha! Fingers crossed that comes back very, very soon! So, I had to add a coffee layer to the caramel fudge then. I mean I just had to, right? So here we are with a fun fudge that has two layers now. But even that still wasn’t enough for me. A drizzle of chocolate gave it just the last layer of perfection that it needed. I seriously could not stay out of this fudge! Yes, I know I’m supposed to be staying strong on this whole no sugar thing, but dang it! It was Caramel Coffee Fudge! I had to try it…then I had to have a little bite more, which led to needing more “bites”. You know where this is going, right? Wrong!!! Lucky for me I had a reason for making a fun new treat! Our church takes a special lunch over to the elementary school for the teachers every quarter. 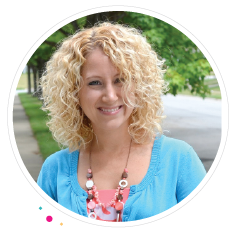 This week we wanted to say thank you for all the work you will do this year with the students from our community. I pulled out my die cut machine and the Party Flag Inserts die cut pack from WR Memory Keepers/Life Style Crafts and used the smallest round die to make a cute label for each piece of fudge. The little slit that the die cut makes is just perfect for sliding these labels onto a paper straw. I knew this striped paper straw obsession I have would come in handy for more things than just pictures of cute food. Getting the fudge out of the house before eating it all…check, check, check!!!! 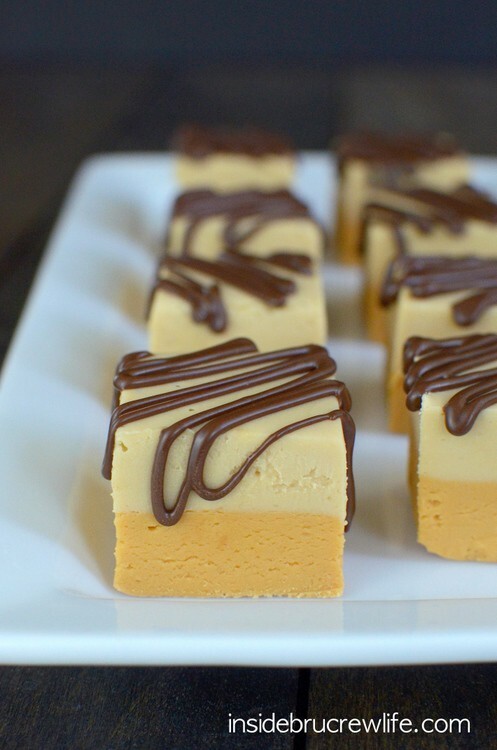 Caramel and coffee layers make this fudge a delicious and pretty fudge to serve at any party. The drizzle of chocolate on top gives it a latte look. Place the white chips and butter in a saucepan over low to medium heat. Let melt. Stir in the Dulce de Leche and stir until creamy. Add the marshmallow cream and stir until creamy again. Pour into the prepared pan. Place in the refrigerator for 30 minutes. Stir together the hot water and instant coffee until dissolved. Stir into the sweetened condensed milk very well. Set aside. Place the white chips and butter in a clean saucepan over low to medium heat. Let melt. Stir in the coffee sweetened condensed milk and stir until creamy. Remove the foil and fudge from the pan. Peel off the foil. Use a hot knife to cut the fudge into 36 squares. Let come to room temperature. Heat the dark chocolate chips and shortening in the microwave for 1 minute. Stir until creamy. Spoon into a small ziplock baggie and cut one tip off. 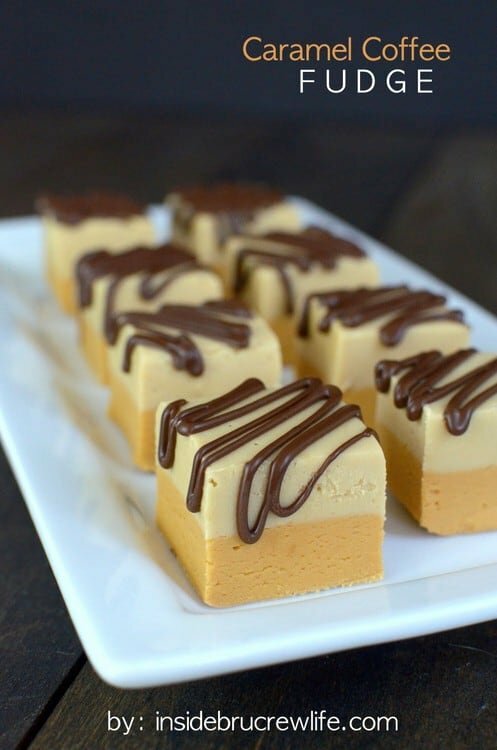 Drizzle over the fudge squares. Let set. Store in a sealed container on the counter. Makes 36 pieces of fudge. This looks so delicious! I love the layers, they’re making it look really cheerful! I love layers! It makes the fudge look so pretty, and you can combine such amazing flavors! 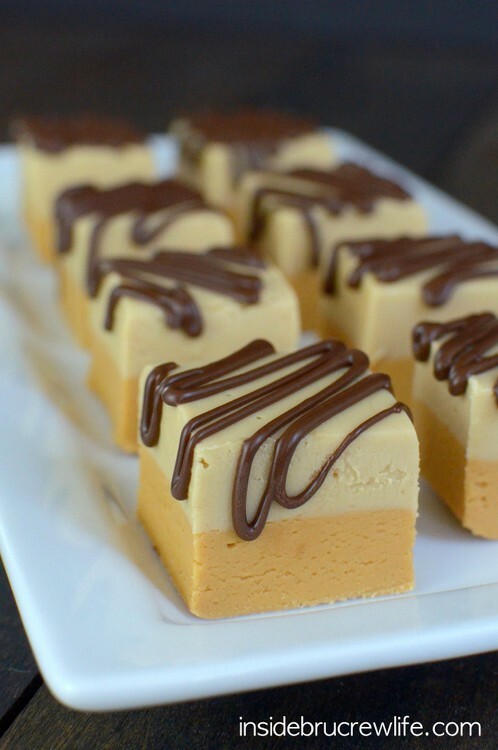 Caramel and coffee fudge sounds amazing! I know exactly what you mean – one flavor is way to simple. Gotta add multiple layers. 😉 And that first bite is lethal – always leads to more! I love your cute labels! Oh my good heavens. This fudge is off the hook! I would totally need to give it away or risk eating it all. Fudge is the best!! 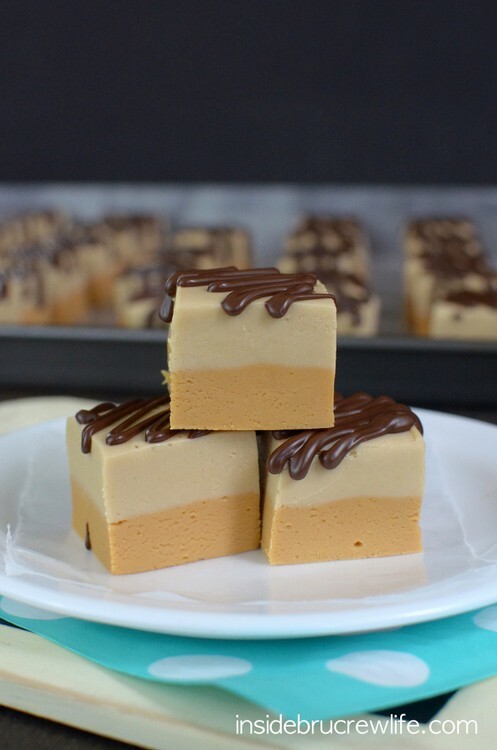 I love coffee desserts and this fudge is calling my name! Pinned! This looks fab! 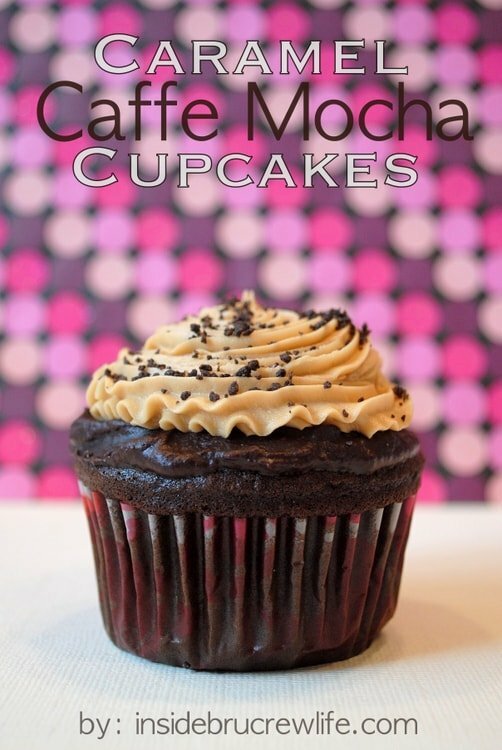 Caramel and coffee together is one of my favourite flavour combos! There’s really only one word for a dessert that mixes caramel with coffee… AHH-MAZING! Ok, you have some serious will power girl! I would have devoured half of the pan before remembering to stop. 😀 Love the layers, definitely more fun and interesting! Caramel and coffee just belong together. Especially in fudge. I need to make this now!! Love the layers, I don’t drink coffee, but love the flavor in desserts! This is a heavenly combination for fudge! So smart to have an exit plan for delicious treats like this. I love the flavor combination and the flags are so cute. I am sure this was a big hit. 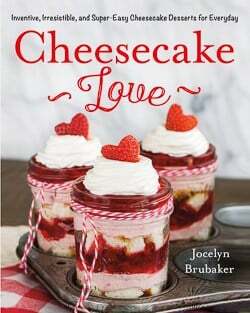 I love all of your coffee desserts and treats! This fudge sounds so good! 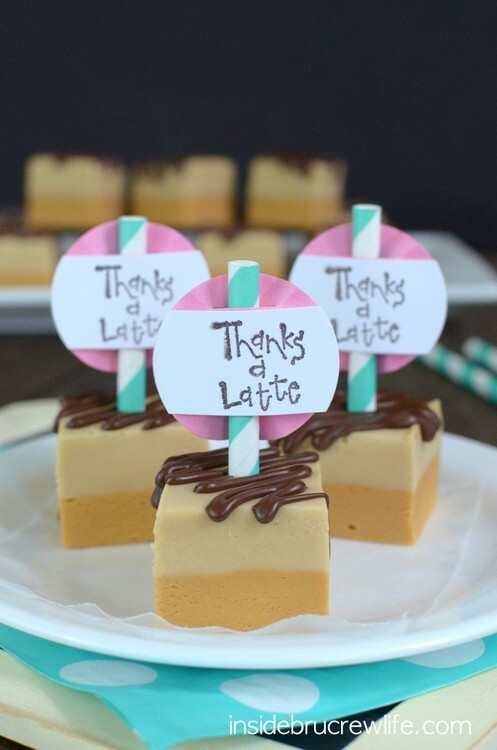 Thanks a latte …freaking cute! I would love to be the recipient of this killer fudge! Gorgeous!! 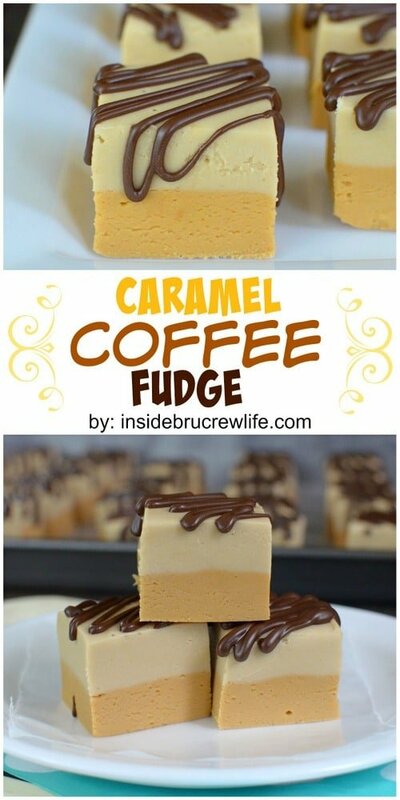 Looks amazing, I love coffee and caramel together and fudge, well, it runs in my blood stream. One question, when you’re slicing squares of layered fudge, do you ever have trouble with the layers separating? Any solution or things to avoid? Thanks. Pffft single layered fudge is boring! This layered version looks so rich and yummy! Pinned. Those layers really do steal the show! How fun with those cute labels too! I am so going to make these for the hubs. These look awesome. This sounds so delicious and is very pretty also. My one question is about the dulce de leche though, is this in a can similar to sweetened condensed milk? Not sure I have seen this in my grocery store but I am in a rural area. OH well. The Dulce de Leche does come in a can like sweetened condensed milk. I usually find it in the aisle of my grocery store that carries the Mexican food items. I hope you can find it. These look great, and of course so much more detailed with the layers! 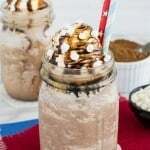 I love caramel fraps at Starbucks and I’m thinking I would love these as well! 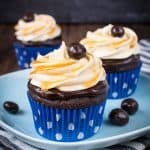 wow – what a delicious looking recipe! Did you use real white chocolate chips or vanilla baking chips? 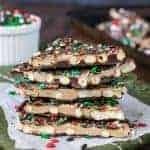 The use of both sweetened condensed milk & marshmallow seems like it would be way too sweet especially with white choc/vanilla chips but since you tested it I’m sure it will be okay. I couldn’t find dulce de Leche at my Walmart so I just used smuckers caramel in the jar and my caramel layer was like glue. I could hardly get it off the foil! Do you think that’s why? Yes, caramel topping and Dulce de Leche are both very different products. The Dulce de Leche is actually in the Mexican food aisle…I know most Walmart stores do carry it. I was so upset! This is the best fudge I’ve ever tasted lol it was just so hard to get off! Thank you!!! Tanks for de recipe, se ve D-E-L-I-C-I-O-S-O-S. GRACIAS!!! What is marshmallow cream? Is it the same as marshmallow fluff?? What would you say the shelf life is for this fudge? Wondering if I can make it a little bit in advance for the holidays? Also, does it matter what kind of pan, glass, vs metal? Thanks. How long in advance are you going to make it? It should keep for a few days in a tightly sealed container. You an also freeze the entire block if you are making it really far ahead, then thaw and cut it before serving. It doesn’t matter what pan you use…just line it with foil, so the fudge lifts out easily. I hope you enjoy it! How long do you normally leave your fudge in the fridge after the second layer? I know it says 4 hrs or overnight, but was wondering what you personally do? I left it in for 4 hrs, but it still seemed a little sticky when I was trying to cut it. The longer you let it sit, the better. I almost always let mine sit overnight. It should harden up quicker with it in smaller pieces too. 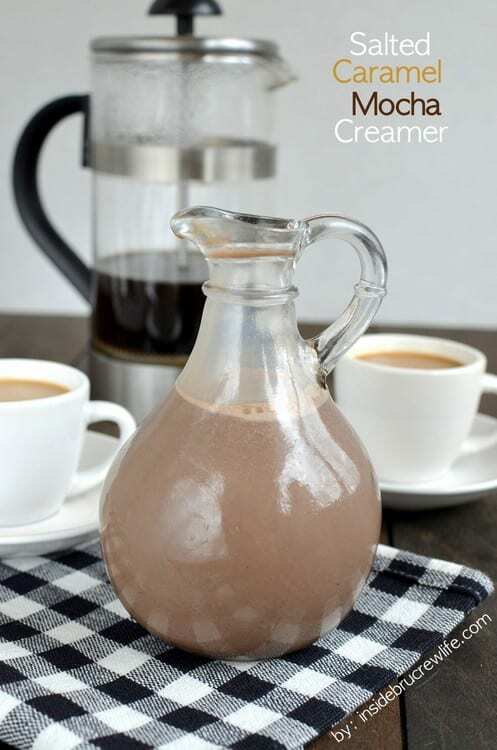 What is the “dulcet DE leche” you use in the recipe? Is it a canned item with the other canned milk? Dulce de leche is canned caramel and you can find it in the international aisle of most stores. Hi Jocelyn! I am making teacher gifts for the holidays and this is a no brainer! I could not find Dulce De Leche in a can (I’ve looked everywhere and gave up) so I am making it out of sweetened condensed milk, my question is do I need a thick or more liquid version to make it easier to mix? Thank you so much for such a fun recipe! Dulce de leche can be kind of hard to find in the grocery store. It is always in the international aisle with that type of food. 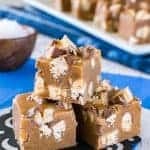 You can make this fudge using the same amount of sweetened condensed milk in the caramel layer. It will just be a vanilla coffee fudge then. I hope you enjoy it! Thanks, I made these over the last couple of days. Fluff/Marshmallow cream is not a readily available ingredient in Australia so I made my own. I did not use the dulce de leche, just condensed milk. 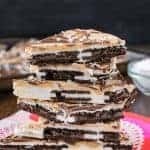 It looks beautiful and the use of marshmallow cream makes it easier to layer. Thanks for a lovely recipe. I wish I could upload my picture to share but I can’t.